These kisses I blow to the sky. I walked outside and the sky was streaked with so many contrails above our house and neighborhood. They reminded me of kisses with all those X’s. Great colors and very graphic! Nice! Love all the sky pictures. Lovely captures and collage I am always happy when I find a kiss in the sky. 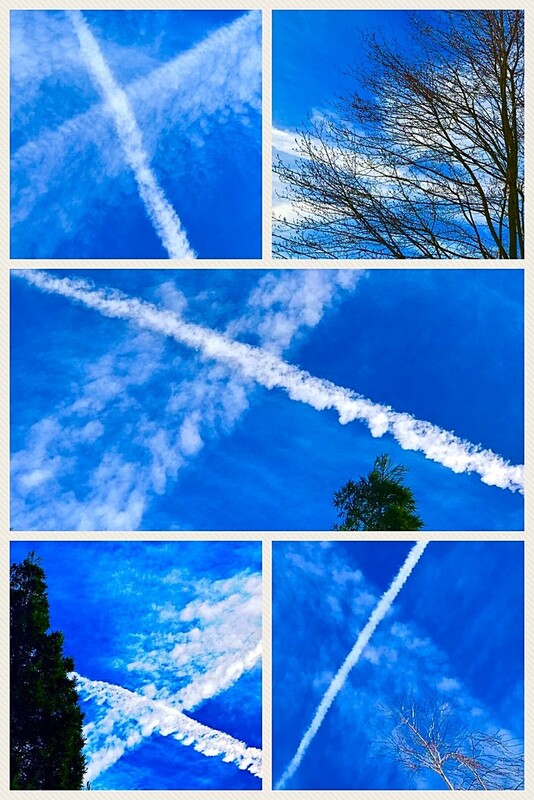 Lovely blue sky and collage! Love that shade of blue. Great idea to make a collage. Nice collage and wonderful words! I like the graphic elements in your collage. COOL.